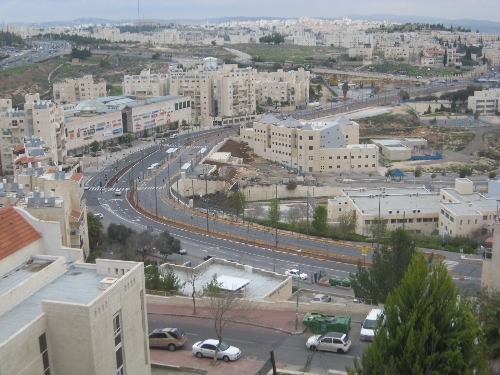 Maariv newspaper said the negotiations between Israel and the Palestinian Authority have already entered a dead end following the disagreements between the two sides concerning the border issue. The paper pointed out that "Israel has proposed renting the Jordan Valley area for decades but the Palestinian Authority refused that." 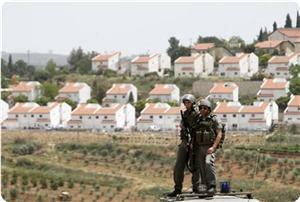 It quoted Palestinian sources as saying that Israel insists on imposing its control over the eastern border with Jordan. Maariv said: "member of the Central Committee of the Fatah movement Hanan Ashrawi confirmed the news in a statement to the newspaper." Palestinian Authority has resumed direct negotiations with Israel under American auspices, since last August, without preconditions from both sides. 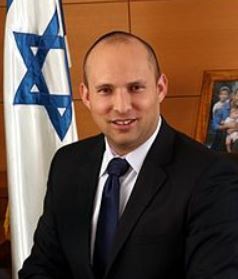 Leader of the Jewish Home Party, Israeli Economy and Trade Minister, Naftali Bennett, threatened that his party would withdraw from the government coalition with Israeli Prime Minister, Benjamin Netanyahu, of the Likud Party, should Israel “grant any concession to the Palestinians in peace talks”. Israeli daily Maariv said that Bennett, who leads one of the largest coalition parties, said that granting concessions to the Palestinians would pose what he called “a serious threat to Israel”, and that his party “will not allow that to happen”. Bennett also stated that his party will not only withdraw from the government, but will lead “a political battle at the Knesset to stop any agreement and any concession provided by the government, starting with foiling the Poll Law that the Knesset intends to vote on”. He told Party leaders in the north of the country that his party would not stand idle “while the government concedes to the Palestinians”. Yet, he added, “Without peace, the Jews cannot fulfill their dream of a Jewish and a Zionist state”, but added that achieving peace must be based on Israeli standards, and should first serve Israel and its security interests. He also claimed that Palestinian President, Mahmoud Abbas, and his Authority, are trying to strip Israel of its international legitimacy, by filing applications at the United Nations, and its affiliated organizations. Bennett further said that peace for Israel is based on boosting both Israeli and Palestinian economies, without making any political concessions. He believes that peace can be reached by granting a better economy to the “self-rule area of the Palestinian Authority without giving the Palestinians more land”, and without establishing an independent Palestinian State. 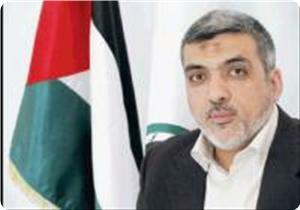 Member of Hamas's political bureau Ezzat Al-Resheq said that the Palestinian authority's negotiations with the Israeli occupation regime would not culminate with success because it works outside the Palestinian national consensus. "Nine months of negotiations will end either with abortion or an illegitimate birth rejected by our people, and this is an investable fate of any project created outside the national consensus," Resheq stated in remarks on his facebook page on Sunday. The Hamas official also deplored the PA for its persistence in its security cooperation with the Israeli occupation regime despite the continued Judaization of Jerusalem and the declared plan to seize part of the Aqsa Mosque for the building of a synagogue. "The dreams of the Zionist extremists are a Jewish synagogue swallowing fifth of the holy Aqsa Mosque and the dreams of the PA and its negotiators are further consolidation of the security coordination (with Israel), the detention of resistance fighters and the prevention of a third intifada," he said. President Mahmoud Abbas said in an interview Thursday that he will not "compromise on the 1967 borders as the borders for the Palestinian state." He also said that "there is no peace without Jerusalem as the capital for the state of Palestine." The remarks were made during an interview broadcast on Palestine Satellite channel as well as al-Falastiniya Satellite Channel, as reported by the official Wafa news agency on Friday. Abbas stressed that the direct negotiations between the Palestinians and Israelis are based on the principle of maintaining the 1967 borders. He added, however, that there remains the possibility of exchanging limited amounts of lands from across either sides of the border. Abbas said that Israeli Prime Minister Benjamin Netanyahu's failure to recognize the State of Palestine on the 1967 borders, as well as his insistence on recognizing Jerusalem as the capital of Israel, indicates Netanyahu's hostility toward negotiations with the Palestinians. Abbas' statements follow months of direct negotiations between the PLO and Israel in order to end the 45-year-long Israeli military occupation of the Palestinian territories and resolve other outstanding issues in the ongoing conflict. Abbas also denounced the repeated raids on the al-Aqsa mosque by Israeli settlers and said that the situation had become "extremely dangerous." 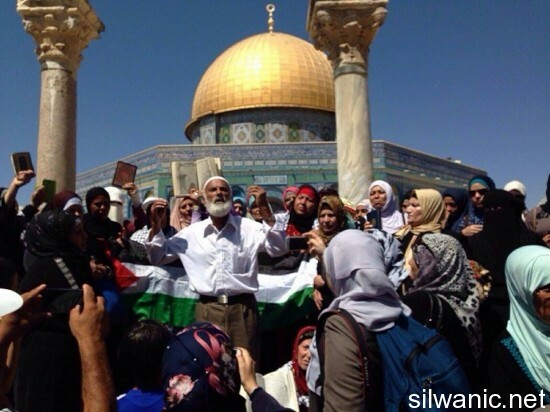 He said that the settlers enter al-Aqsa daily and assault Palestinian and worshipers, while Israeli forces do nothing to stop them but instead provide protection to the settlers. These attacks could potentially destroy all international efforts made to achieve peace in the region, he added. 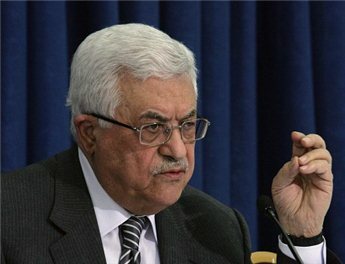 Abbas mentioned that the Palestinian leadership had warned Israeli and American sides about this, and that the Palestinian leadership is considering taking the issue to the UN Security Council. Abbas mentioned that the Palestinian Authority had agreed to postpone any attempt to join international organizations for nine months, and in return, Israel had said it would release the 104 Palestinian prisoners taken before the signing of the Oslo Accords in 1993. He added that the issue of joining international organizations is not, however, linked to the currently ongoing negotiations. The agreement to release pre-Oslo Palestinian prisoners is being implemented by Israel in a staged process, with 26 Palestinian prisoners released each three months. According to the agreement, if Israel fails to abide by its responsibilities, then Palestine will be free to apply to membership in various international organizations. The negotiation process will continue for nine months as agreed upon with the approval the US Secretary of State John Kerry. Israel's Finance Minister Yair Lapid said on Tuesday that the Israel-Palestine peace talks have "failed" because Israelis and the Palestinians want two different things. 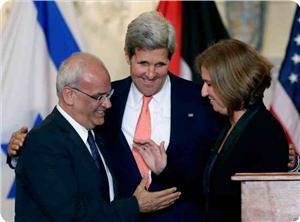 "The Palestinians want peace and justice; Israelis want peace and security," he told Bloomberg TV. Contradicting Prime Minister Benjamin Netanyahu, Lapid added that there is no need for the Palestinians to recognise Israel as a Jewish state. "My father did not come to Haifa from a Budapest Jewish ghetto in order to get recognition from Abu Mazen [Mahmoud Abbas]," he said. "The State of Israel is a place where Jews are able to define themselves, after 2,000 years in exile. We are now independent and make our own rules." 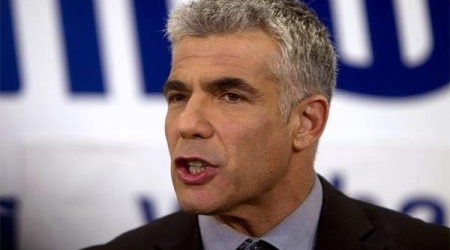 Lapid noted that Netanyahu is familiar with his position on the matter. 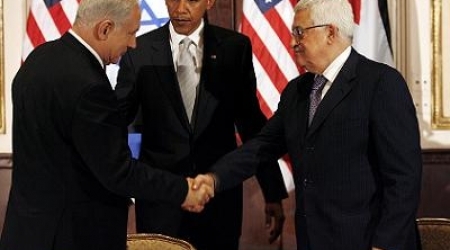 According to a report published by the Herzliya Interdisciplinary Institute, the 9 months allocated for negotiations between Israeli authorities and the Palestinian Authority under the U.S. auspices to achieve a peace agreement has a slight possibility of success. 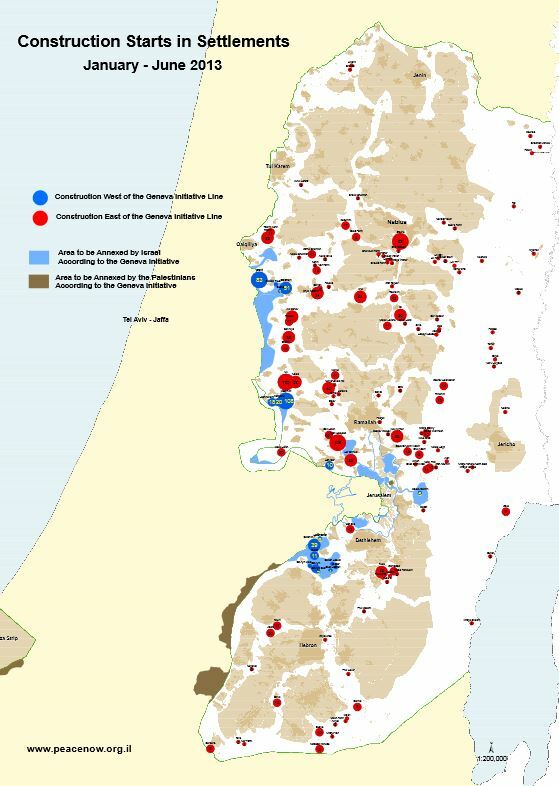 Researcher at the Israeli Institute for National Security Studies Udi Dekel believes that only the idea of an interim settlement with the Palestinians is the most applicable "because the differences in core subjects between Israelis and Palestinians have widened." He suggests examining the possibility of an interim settlement "because we must decide to change reality on stages. We are interested in strategic planning, because the basis is to keep Israel as a Jewish state, and achieve the two-state solution. We are trying for 20 years to reach a settlement, but we did not succeed." Dekel stresses that there will not be evacuation of the settlements, and that the Jordan Valley will be under the Israeli control. "We will not open the borders, and we will prevent entry of means of combat", he also says. 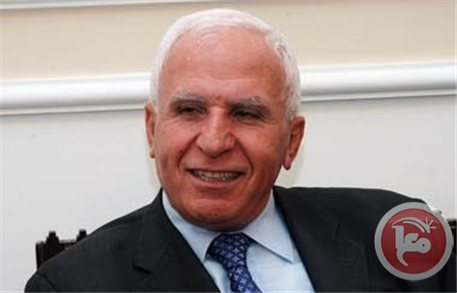 For his part, the General Oded Tira considers that the political and security data do not support reaching an agreement with Abbas and his team. 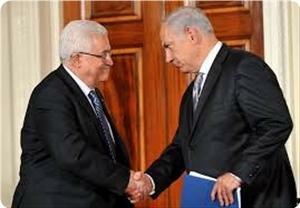 He says "Mahmoud Abbas is not interested in agreement. In case a deal is reached the Israeli army will withdraw from the West Bank, which means that Abbas will lose power, either through the constitutional elections, or by the military force of Hamas." He adds that Israel is also not interested in agreement, because it knows that Abbas and Fatah do not represent the Palestinians even in the West Bank. Tira points out that "an agreement will be considered as an Israeli folly, and will actually lead to the control of Hamas in the West Bank, which would turn the Tel Aviv and the coast to areas of confrontations like the cities near Gaza." For their part, Israeli security sources report that if Abbas decides to respect the agreement with the occupation he will be inviting his overthrow in a short time, but if he decides not to respect the deal, under pressure from Hamas and the Palestinian community, that will result in the re-occupation of the West Bank and may lead to his resignation. For his part, Likud MK Ofir Akunis considers that Netanyahu will face a very strong opposition from the right wing, in case of progress in the negotiations with the Palestinians. He reiterated that "Israel cannot withdraw from the borders of 1967, because this means waiving the Latrun area and parts of the Jordan Valley, and dismantling the settlements of Ma'ale Adumim, Har Homa and Ramot. Therefore, I do not agree to the establishment of a Palestinian state, yet I'm ready to talk about a long-term agreement that gives the Palestinians autonomy, and ability to manage their own affairs." For his part, the racist Avigdor Lieberman, head of the Foreign Affairs and Defense Committee in the Knesset, stressed on his persistent opposition to the idea of ​​any settlement. He added he does not believe in the possibility of reaching an agreement with the Palestinians, and called on the international community "to stop interfering in our conflict with the Palestinians", he said. (Israel) rejected a request by the Palestinian and American governments that the planned release of a second group of Palestinian prisoners be moved up by two and a half weeks, according to Haaretz newspaper. Israel agreed in July to a four-stage release of 104 Palestinian prisoners in the Israel jails detained before the signing of the Oslo Accords in 1993. The first group of prisoners was released in August, just after talks between the two sides restarted. The second group of some 25 prisoners was slated to be released on October 29, but the Palestinian Authority asked Israel to release the prisoners in time for the Muslim holiday of Eid al-Adha next week. Netanyahu has faced pressure from hawkish ministers to delay or cancel the prisoner release in the wake of a series of incidents in the West Bank in recent weeks, including the killing of two Israeli soldiers and the attack that wounded a nine-year-old girl in the settlement of Psagot last Saturday. 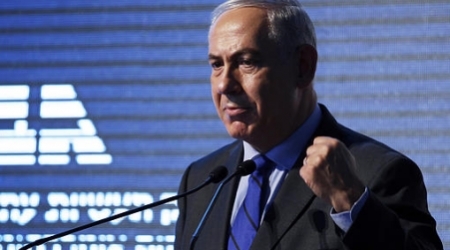 Netanyahu has rejected the request and planned to release the prisoners on schedule. Israeli and Palestinian negotiators met on Monday in Jerusalem for the ninth time since peace talks were renewed at the end of July. Israeli Justice Minister Tzipi Livni represented Israel, together with Israeli Prime Minister Benjamin Netanyahu's envoy, Isaac Molho. Chief negotiator Saeb Erekat and Palestinian official Mohammad Shtayyeh represented the other side. The sides recently agreed to meet more frequently - twice a week - as well as to increase U.S. involvement in the talks, as demanded by the Palestinians. American envoy Martin Indyk participated in the last meeting between the sides on Wednesday, but missed out on Monday's session. A senior Palestinian official told Reuters that the talks were intensifying, with the negotiating teams agreeing to meet for up to eight hours a day and to see one another more regularly than at the start of their latest diplomatic drive. "As the Americans requested, we are upping the tempo of the discussions," the official said, adding that Washington would evaluate the situation in the next two months and see how to narrow the inevitable differences. "So far we have achieved nothing," he said. Meanwhile, Palestinian President Mahmoud Abbas met Monday morning with Israeli members of the Knesset caucus for the resolution of the Israeli-Arab conflict at the Mukata compound in Ramallah. At the meeting, Abbas mentioned the recent attacks on Israelis in the West Bank settlement of Psagot and in Hebron, as well as the killing of four Palestinians in Qalandia, adding that he opposes bloodshed and hopes this position is clear to all Israelis. Abbas also said that there is daily security coordination between the Palestinian Authority and Israel, and that, as it is fully functioning, he does not understand recent Israeli army raids into Palestinian cities and refugee camps, which might harm future coordination. Abbas said only U.S. Secretary of State John Kerry was authorized to speak about the peace talks, but stressed that the negotiations deal with all core issues, including borders, Jerusalem, refugees and the future relationship between the two states. Abbas added he believed the nine-month framework would suffice to reach a deal, as most of the issues were already discussed in the past. 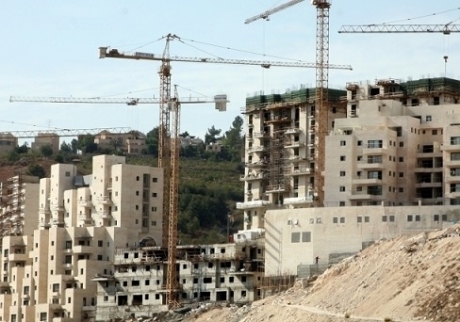 Abbas criticized further construction in the settlements, saying that Palestinians believe all settlements are illegal. He warned that Israeli extremists might cause provocations in the Al Aqsa mosque in Jerusalem, adding that such provocations might severely damage negotiations. 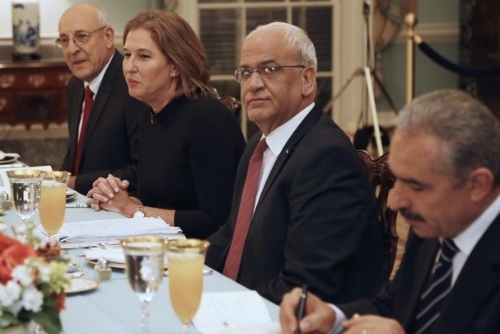 Still, the Palestinian leader preferred to ignore Netanyahu's hardline speech at Bar Ilan University on Sunday, saying that the meeting with the MKs was not where negotiations were being held. Labor MKs Hilik Bar and Isaac Herzog said that, together with other MKs of the caucus, they represent a huge public who believes in a deal with the Palestinians based on the principle of the two-state solution. They added that most Israelis would support such a deal.